What’s engineering without a little bit of eccentricity? The Beady Little Eye was born out of tight, twisty, muddy and technical laps of Bristol’s trails. It’s a thoroughbred hop-and-go that’ll survive the worst of the British winter. It’s simple, it’s steel and it’s single-speed. Most of all, it’s a hell of a lot of fun. 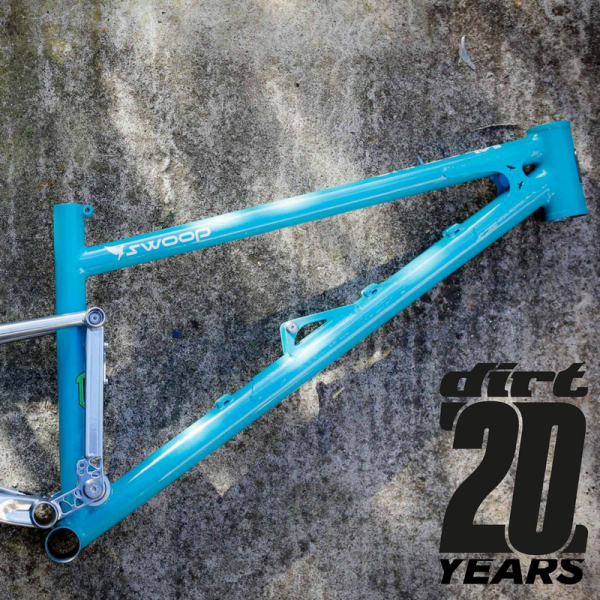 We took the concept of the Swoop and twisted-up the suspension to pivot around the bottom bracket. 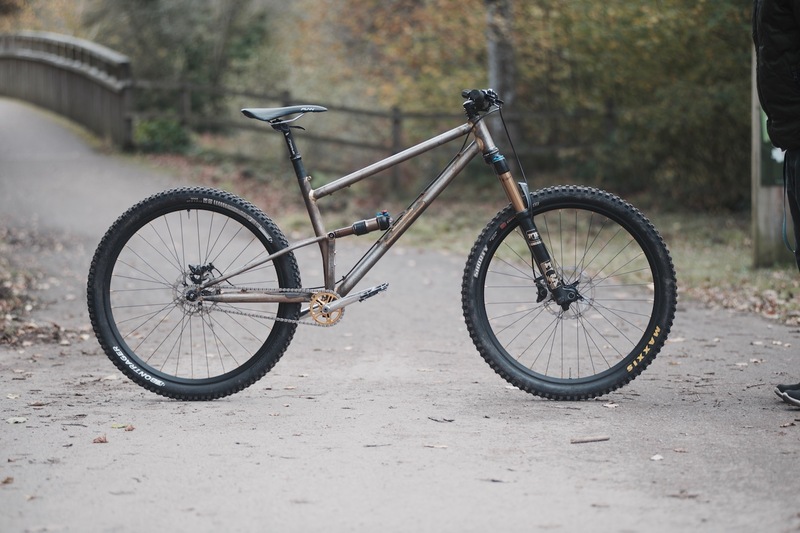 We knocked the travel right down to 110mm and made the geometry a bit smaller and more playful. 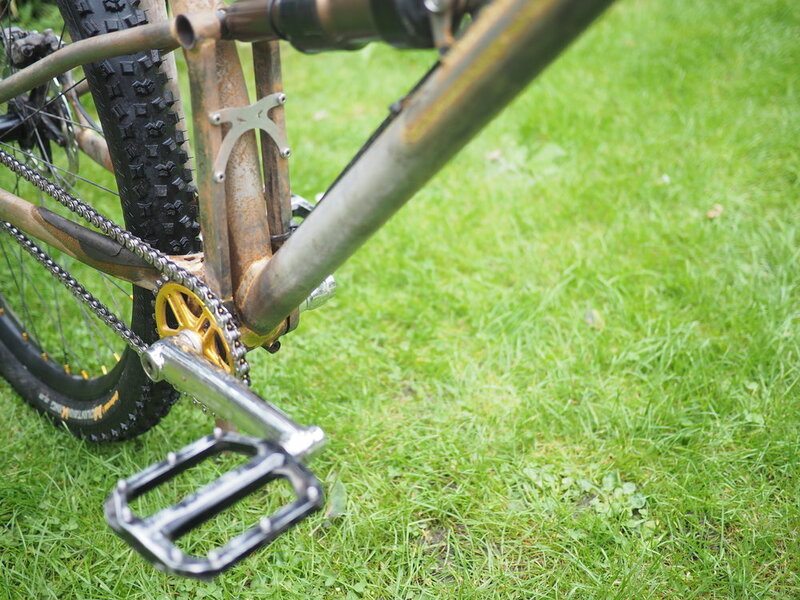 The Beady is a simple bike but was fiendishly complex to get right. 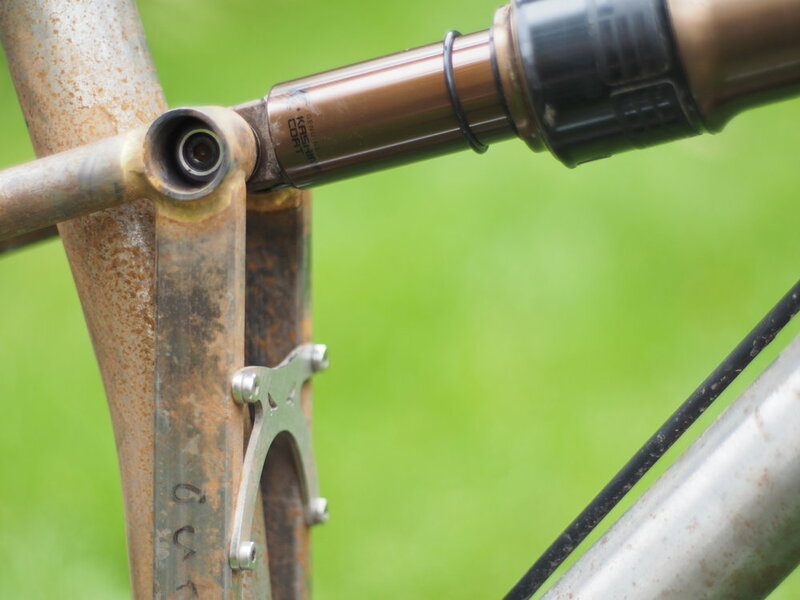 Single speed relies on eliminating chain growth and rather than over-complicating the bike we worked hard to remove complexity and make a simple but effective push bike. 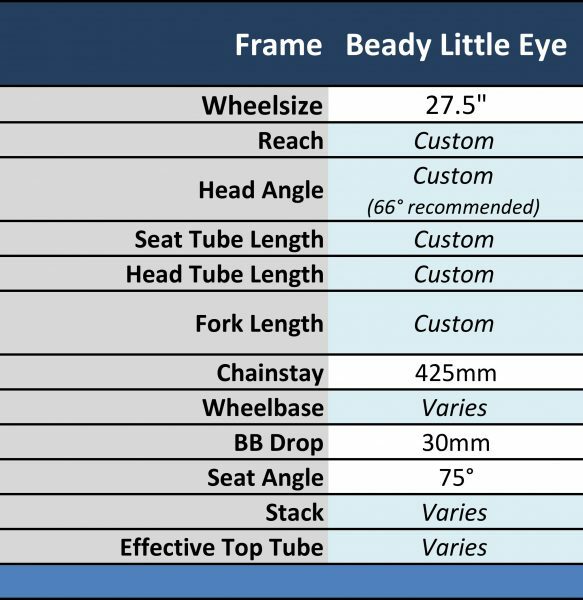 The Beady Little Eye is an insanely fun, simple and utterly indestructible bike for tearing up your local woods. And, naturally, it’s hand made in Bristol from steel. 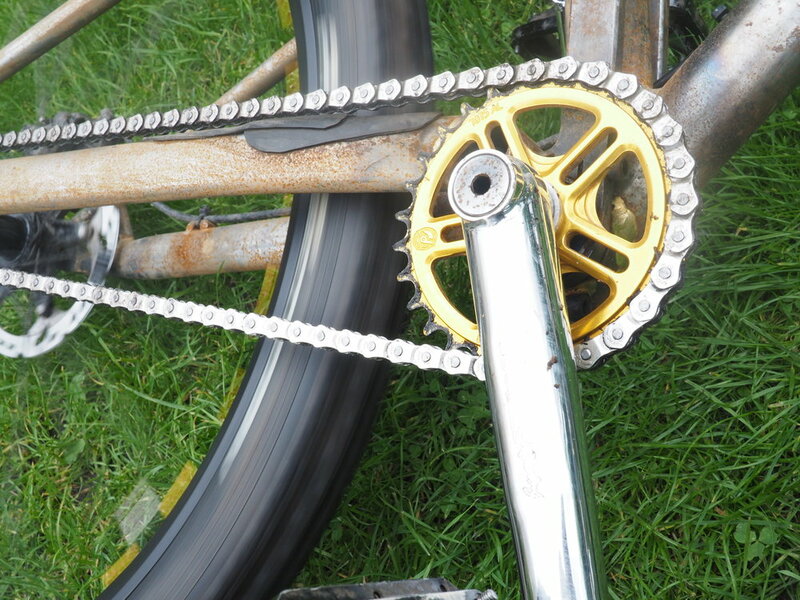 Single speed with horizontal dropouts. 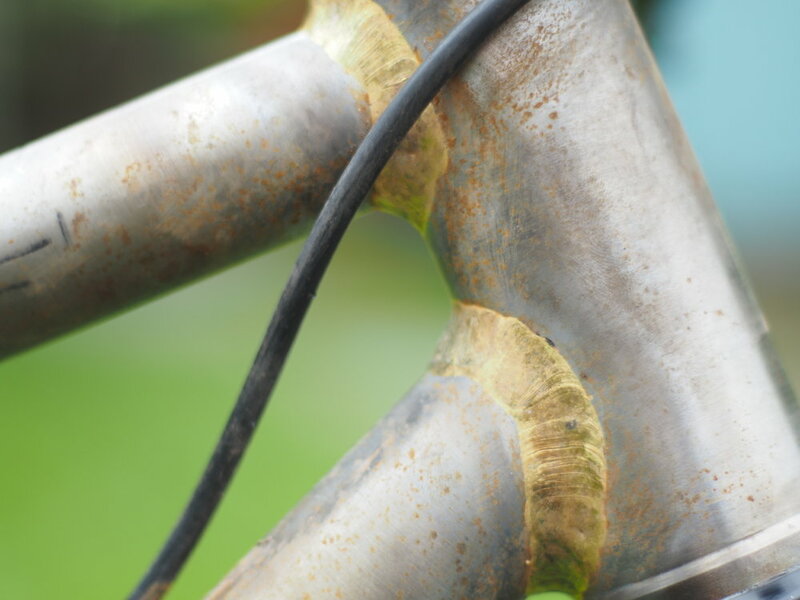 Custom head tube angle, down tube. 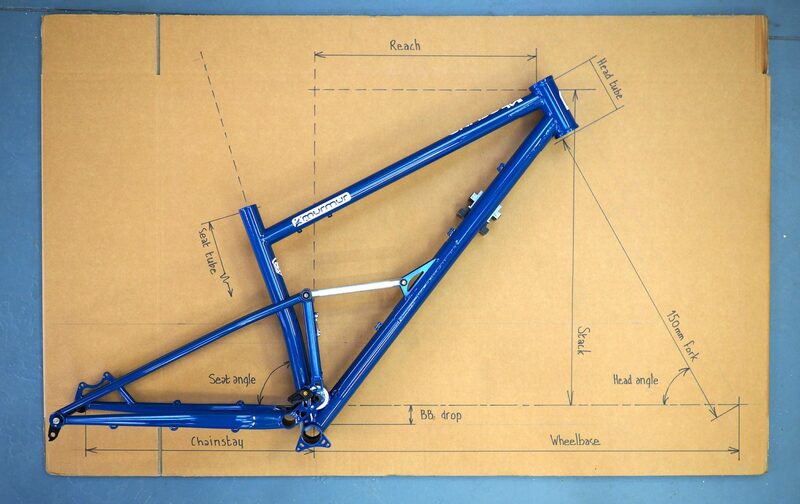 length/reach and seat tube length. 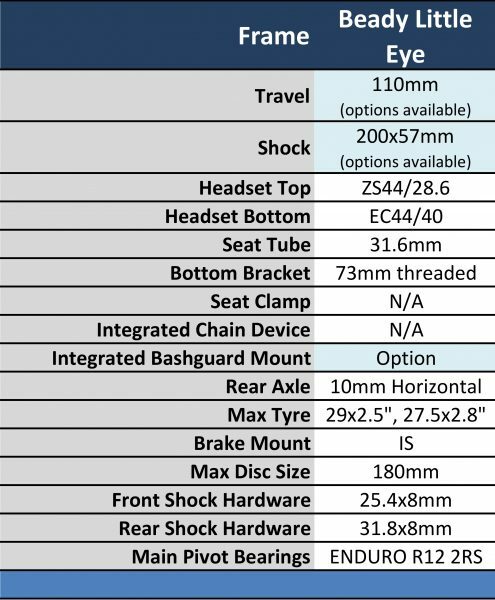 Choose no shock or a rear shock from Rock Shox, DVO or Fox. 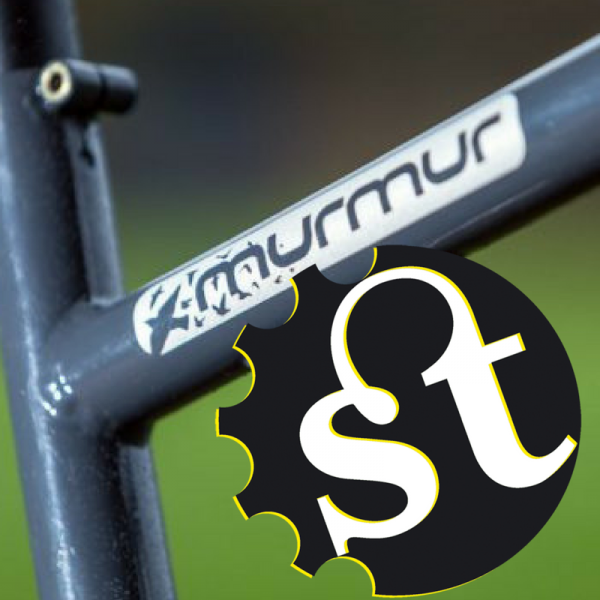 Choose frame only or build-kit with kit from Burgtec, SRAM, Hope, Middleburn and Maxxis. The Starling Beady Little Eye is hand built in the UK with custom geometry. 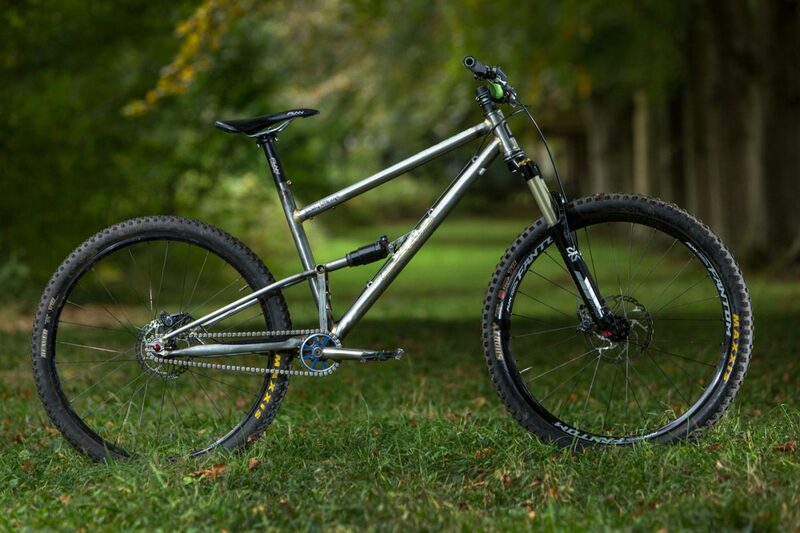 Specify your own custom head tube angle, head tube length, fork length, reach and seat tube measurements to create a properly special and one-off frame that perfectly fits you and your trails. The maximum reach we’re able to build is 535mm. Beyond that, we can’t get tubes long enough. 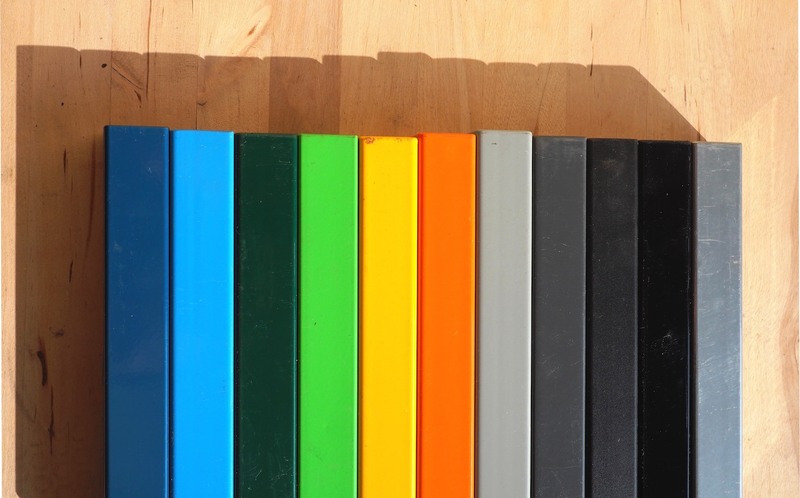 All Factory frames are powder coated and available in custom colours at no extra cost. 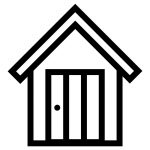 Read more on STW here.